A beautiful village in Mauritius, Baie du Tombeau Pamplemousses is known for its enchanting landscapes and serenity. The village is small but as they say, big things come in small packages so is the case with Baie du Tombeau. 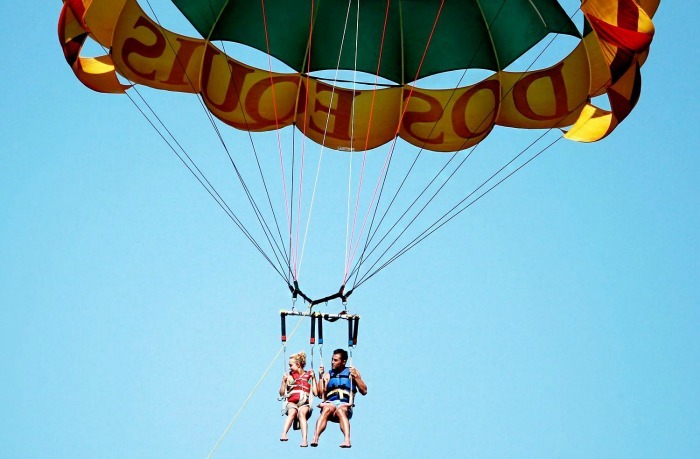 It offers you a myriad enthralling experience that will make your vacation in Mauritius a splendid one. Pamplemousses lies in the northwest part of the Mauritius island. It is one of the areas where you can observe the colonial charm. What you will also observe is that this district is a lot quieter than its famous counterparts. So if you ever want to escape the touristy crowd, you can come to this place. There are a number of historical buildings and ruins which tell the story of this island in their own way. 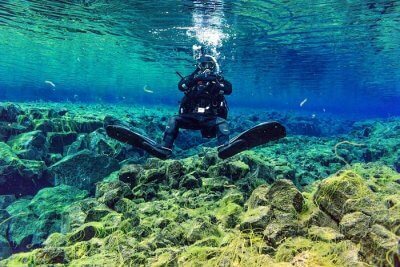 The famous Balaclava ruins are also found in this district. Pamplemousses Botanical Gardens is the most famous attraction in this area which you should not miss at any cost. The enchanting beauty of the park and exotic flora and fauna inside will captivate your senses. Spend some time in the park taking a stroll around with your partner. It is a great place to spend some moments if quietude. It is a decent place for families and couples to spend a few days. You will find a number of decent accommodations here if you wish to stay a night or two. There are quite a number of good restaurants in Pamplemousses too where you can enjoy sumptuous local cuisine. 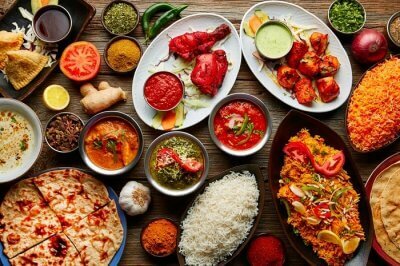 Trying the delicious Mauritian cuisine is one of the things you should do if you are on a holiday here. Enjoy the serenity and tranquility of this place which will make it hard for you to leave. 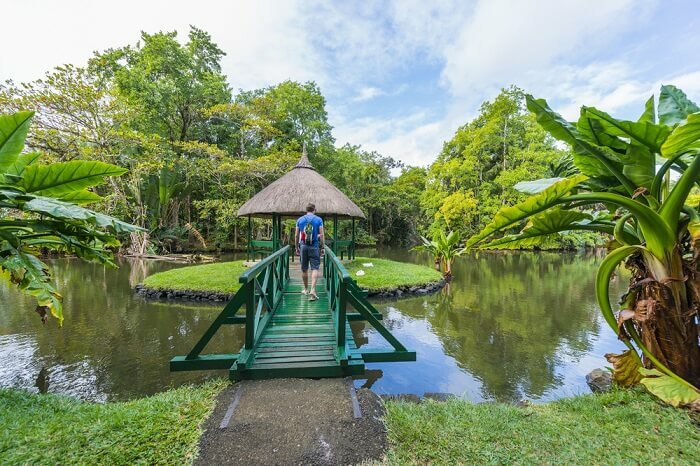 Here are some of the best activities that you should do while you are in the district of Pamplemousses on your vacation in Mauritius. Renting a car is definitely one of the-most romantic things to do in Mauritius. The island has an extensive motorway and widespread coastal roads. While taxis could be expensive and time consuming, a car is at your disposal 24/7. Dont miss out on the opportunity to wind through sugarcane plantations, city centre, and markets all at your free will. Take a romantic scenic drive from Pamplemousse towards Pieter Both or down south to Chemin Grenier and Le More. Nothing compares the freedom of driving around with your partner to explore the whole island. Being on a honeymoon is all the more reason to go shopping on this exotic island. The island is a shopping paradise with reasonable prices, quality products, and an amazing range. Some of the places to visit in Mauritius for shopping include Grand Baie Bazar, Goodlands, Quatre Bornes and so on. Take advantage of the situation and buy that seductive dress you always wanted to wear while out with him! You will find a number of stores and shop in Baie de Tombeau from where you can shop a variety of things. How about buying souvenirs for your friends and family from the trip. You simply can’t run short of romantic things to do in Mauritius and relishing a spa treatment definitely tops the chart. Spa treatment is also one of the best things to do in Mauritius in February as the month is really hot. 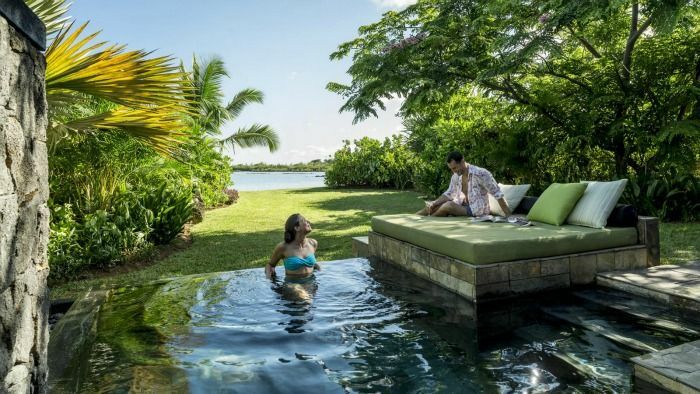 The Spa at Four Season Resort Mauritius at Anahita is one place where you will find a mix of Indian, African, Chinese and European therapeutic spas. You and your partner would love to be buffed with their signature Mauritian fusion spas and massage. Its a two three hour soothing experience that will get you started for the forthcoming nights on your Mauritius honeymoon! There is nothing more soothing and exotic than having a spa on a tropical island. Holidays are all about relaxing and this is a great way to do relax. If you and your partner are heading to Mauritius during summers and enjoy extreme sports then Skydiving has to be one of the things to do in Mauritius. 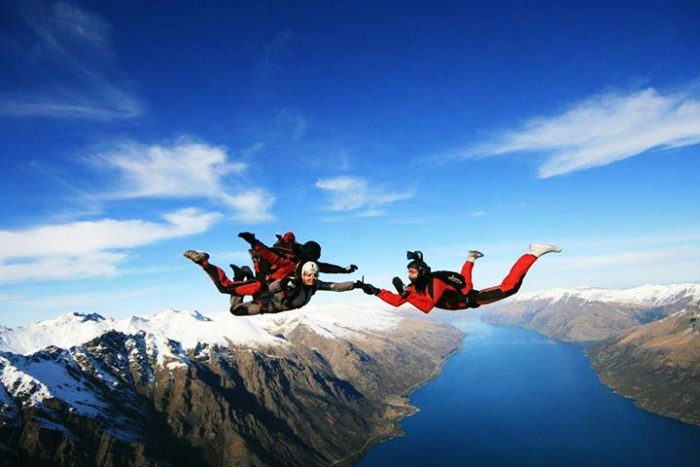 Head to the northeast side of the island to experience the spectacular aerial view with approximately 10,000 sq ft skydive. The 360- view of Mauritius will leave you with an unforgettable experience for a lifetime. if you ever feel like aaj kuchh toofani karte hain, then you should just take a plunge and jump off the aircraft. This experience is once is lifetime achievement. So, make the best out of it. Don’t be scared. It is experiences like these that matters most. Not much can be said about this one, its the experience that will count! Pamplemousses is a great place to visit on your holiday in Mauritius. There are a lot of things to do in Baie du Tombeau Pamplemousses which will make your time in this part of the island super fun and exciting. There will not be a single moment when you will feel bored or have nothing to do. Make sure you strike off all the things mentioned above to make your vacation awesome.